Birdsville is the ultimate Western Queensland travel destination for those who want to see real Australia, including its stunning deserts and legendary characters. A tiny community perched on the edge of the Simpson Desert, Birdsville is an iconic Outback town with a lot of soul. The first port of call for many grey nomads is the Birdsville Hotel, serving beer to many genuine bush characters in a quirky atmosphere. Full of memorabilia, the pub becomes even more interesting in September, when the Birdsville Races causes the town to blossom into a hive of activity. For the nature lovers, a trip out to the Big Red, 40 kilometres out from town, gives you a great idea of what you can expect the Simpson Desert to be like. At 40 metres high, the sand dune is definitely a sight to behold. Also, the Birdsville Star Show offers a telescopic guide to the staggeringly beautiful desert night sky. Given the lack of light pollution, you’ll have some of the clearest views of space on the planet. The Burke and Wills Tree just outside of town is another unique and interesting landmark, as it marks part of the famous Burke and Wills expedition in the 19th century. Whatever interests you, Birdsville is sure to be a highlight of your journey out west. Charming and historic, Charleville appears on many grey nomad radars because of its relative accessibility. One visit though, and the town quickly becomes a destination to see again and again. Heading out from Brisbane via Dalby and the Range makes for a breathtaking drive through all the iconic Australian landscapes. Packed with classic old buildings and historic pubs, Charleville is where Cobb and Co had their longest running and largest coach making factory, and where the famous Vortex Gun rain making experiment took place. As a result, there are some terrific museums, as well as stereotypical outback scenery and beautiful walks along the Warrego River to discover. The town is also an astronomer’s dream, with the Charleville Cosmos Centre rolling back its roof nightly to expose three Meade telescopes. The clear views of planets, globular clusters, and stars light years away are breathtaking. You’ll definitely enjoy your Charleville experience. 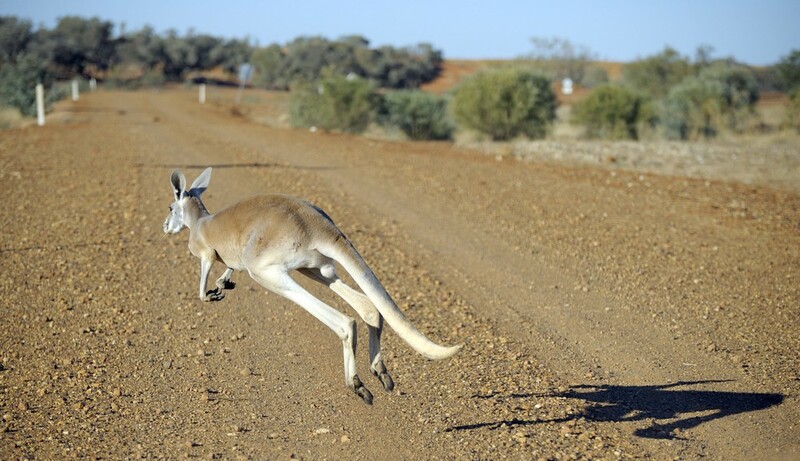 The drive from Rockhampton to Winton (via Longreach) is one of the most popular Western Queensland itineraries. Western Queensland travel ideas always feature a stop in Longreach and Winton as they’re two of Queensland’s most alluring inland towns. As the birthplace of Waltzing Matilda and Qantas, Winton is steeped in iconic Australian history. Discerning visitors will know that its modern claim to fame is something much more ancient – dinosaurs. Winton is home to the Australian Age of Dinosaurs Museum of Natural History, which houses the world’s largest collection of Australian dinosaur fossils. It’s definitely worth a visit for people of all ages. The Dinosaur Stampede at the Lark Quarry Conservation Park is another of Winton’s famous dinosaur-based landmarks, with one of the few dinosaur stampede sites in the world. The dinosaur tracks lay untouched for 95 million years until they were discovered in the 1960s, and they’re truly something special. Check out Combo Waterhole, believed by many to be the site that inspired Banjo Patterson to write Waltzing Matilda after he visited in 1895. The tranquil setting is ideal for a leisurely day out. The region also boasts numerous scenic walks, natural parks, and watering holes. Swim, kayak, or cruise down the Thompson River, fish for golden perch, or take it easy under the coolabah gums. For anyone interested in history, the Old Cork Homestead ruins provide a fascinating insight into life in the outback in the 1870s. In the town itself, explore the Waltzing Matilda Centre, the world’s first museum dedicated to a song. There’s also an open-air theatre, several beautiful old pubs, and many lovely historic buildings to discover. Like all big travel ideas, heading West means preparing for the road ahead. Keep up to date with weather issues and events via the Outback Queensland website . While travelling to Western Queensland isn’t as remote as the other side of our grand country, it can still be 200-300 kilometres between towns. Be sure that your vehicle and trailer are up to the task. For a checklist of everything you need, contact Almac Trailers before you set off. We love hearing about amazing Western Queensland travel ideas, feel free to share your story with us too! Previous PostRiver Fishing: 5 Great Spots to Fish Near BundabergNext PostBlokes and Tinnies – a Match Made in Heaven!